Running from December 2017 until June 2021, the International Trade Centre’s NTF IV Inclusive Tourism project in Myanmar is focused on fostering economic opportunities through the development of sustainable tourism products in Myanmar – consolidating previous project results in Kayah State and extending activities to Tanintharyi Region. In addition, the project supports Myanmar’s tourism industry at national level in the following areas: marketing and branding, tourism statistics and development of Codes of Conduct for tourists, tour operators and communities. The NTF IV Inclusive Tourism project is a continuation of the NTF III project, which ran from 2014 to 2017 with a special focus on developing sustainable tourism in Myanmar’s Kayah State. See NTF III project results here. The NTF IV Inclusive Tourism project is funded by the Government of The Netherlands. ITC continues its close collaboration with the Netherlands’ Centre for the Promotion of Imports from Developing Countries (CBI) and its parallel tourism project assisting tour operators and the national sector associations in export promotion. Myanmar’s tourism sector has a strong potential for growth. Visitor exports generated USD 2, 3 mn (26.4% of total exports) in 2016 and they are expected to increase by 8.3% annually during the 2017-2027 period. The country boasts six main destinations (Yangon, Bagan, Inle Lake, Kyaikhto, Mandalay, and Ngapali Beach) which receive the majority of international visitors and benefit the most from tourism revenues. With its history, fascinating culture and wide array of stunning natural landscapes, Myanmar can easily diversify and widen its tourism offering. There is a clear opportunity for local providers of tourism products and services to increase their income in tourism and tourism-related value chains – both in the most popular and more remote and unknown locations. Today, Myanmar’s main tourist attractions are becoming saturated and as such the industry needs to alleviate the pressure on these areas. This is an opportunity to focus on developing new destinations within the country and to attract repeated travellers. 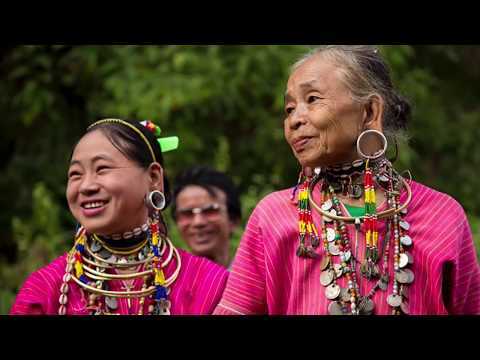 Download the NTF IV Inclusive Tourism in Myanmar brochure here. Tourism in Kayah State was at an infant stage before ITC’s first intervention with the NTF III Inclusive Tourism project in 2014. ITC contributed its knowledge and expertise to develop a diversified offer of tourist products and services aimed at both Myanmar and international tourists. Kayah State now has an organised set up to welcome tourists. The tourism products and services developed under NTF III are being further improved in order to enhance the tourism experience with the view to attract new and longer-staying tourists. Having successfully implemented an inclusive tourism model, Kayah is now a best practice learning centre for other responsible tourism development players in the region – both in Myanmar and South East Asia. As the project grows further, trained tourism workers from Kayah can share their knowledge and experience with communities and representatives of other regions. The Kayah model has the potential to be adapted to other locations to replicate its long-term benefits. In Kayah, ITC is continuing to strengthen the management capabilities of local counterparts so as to ensure the long-term sustainability of the results achieved under NTF III. Support for “food safety and hygiene” continues as well as the coaching and mentorship of local tourism associations to increase their understanding of what a tourism association should be and which services should be provided to the members. Following the Kayah model, the same successful value chain approach is adopted in Tanintharyi: from product and service development, association strengthening to destination branding and market linkages. Tourism service providers (incl. local communities, local guides, ground-handlers, hotels, restaurants) are trained to increase the quality of services sold through tour operators and directly to individual tourists. A training of trainees (ToT) approach is used in the development of new tourism products and services. At the national level, ITC continues to enhance the capacity to generate, disseminate and make use of tourism statistics to help with position and promote Myanmar as an attractive tourist destination. ITC also assists the Myanmar Tourism Marketing (MTM) and the Ministry of Hotels and Tourism with destination marketing and branding. The Codes of Conducts for tourists, tour operators and CBT communities developed in a participatory approach under NTF III will be further refined and applied. NTF IV continues working with the Union of Myanmar Travel Association (UMTA) and MTM and assist them with technical support for marketing and branding, events and B2Bs. The project facilitates and establishes linkages both within Myanmar (e.g with the organization of study tours for Myanmar tour operators to experience the new developed products) and with the international tourism market (between Myanmar inbound tour operators and international outbound tour operators).